Choosing a boarding kennel when going out of town is an essential part of caring for pets. An quality boarding kennel will provide quality care and provide you with peace of mind. Selecting a kennel that has trained staff on hand to monitor and spot any health issues that may arise is essential. Did you know that pets often receive more attention at a boarding kennel then when asking a friend to check in on them? We sometimes make the mistake of thinking that bringing out pets with us is best for them. However, taking pets on long car rides or airplanes can create stress in your animal. As a stress to you, finding a hotel to accept pets can be a daunting task. The first step in choosing a boarding kennel is asking your friends for recommendations. Once you have a few boarding kennels names you can do your research. Reading online reviews of the kennels can be very helpful. Going further, checking to see if the state requires these boarding kennels to be inspected is good to know. If kennels are inspected, make sure their licenses or certificates are displayed showing them meeting the mandated standards. After narrowing down your selected kennels, make sure they can accommodate the dates you want. The second step in choosing a kennel is visiting the site. Speaking with the staff can be very informative. Also, have them give you a tour of the facility. Check for cleanliness, ventilation, lighting, and temperature. Notice how the staff is interacting with the animals. Make sure the staff are knowledgeable and caring. Every pet boarding at the site needs to have all up-to-date vaccinations. 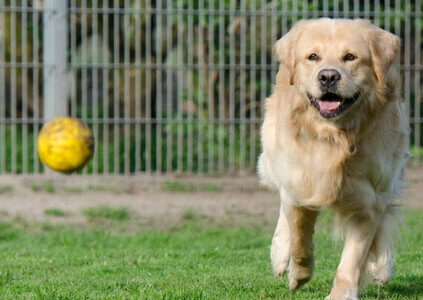 The boarding kennel needs to have adequate space for playing indoors and outdoors. Cushions should be available for animals to rest after playing on concrete. Cats should be separated from the dogs. Ask about the feeding schedule and if you need to provide food. Inquire about how the rates are calculated and compare pricing of the kennels you’ve selected. Starting off with a short weekend trip to allow your pet to become accustomed to staying in a boarding kennel will allow them a smooth transition. Increase the time of their stay gradually until it is a week or longer. Bring any medication and food your pet will need during their stay. List all emergency numbers, including your veterinarian. After checking in your pet, say a brief goodbye and leave. Long goodbyes may make your pet anxious. Do you have questions about choosing a boarding kennel, or questions in general? Contact us and let us know how we can help.